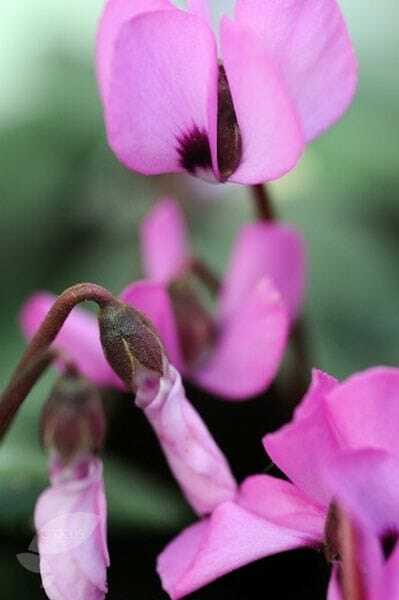 Slender pale to rose pink flowers give this pretty cyclamen a more delicate appearance than many of the other species. 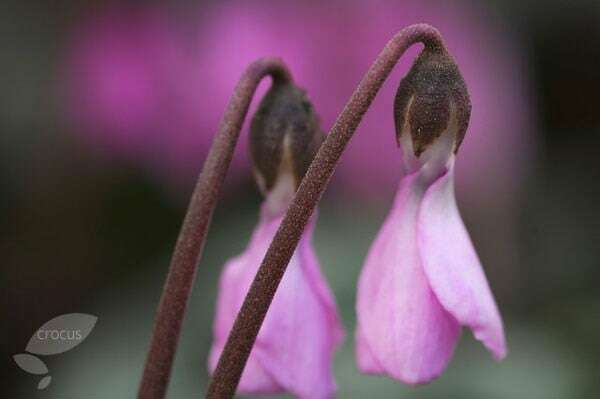 Made up of five twisted and recurved petals, which have a magenta blotch at their mouth, the nodding flowers appear at the same time as the foliage in autumn and usually last for several weeks. The mid-green leaves are heavily patterned with silver on the upper surface and have a purplish sheen underneath, and these will remain attractive throughout the winter before dying back in spring. 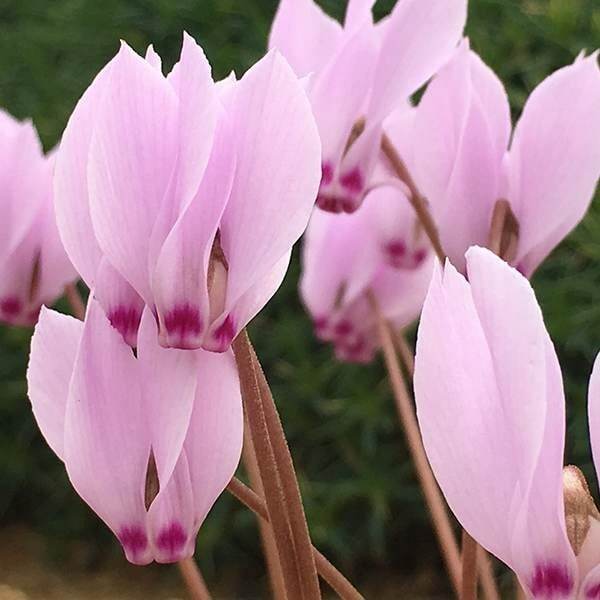 Originating from coniferous forests in Southern Turkey where they are found growing amongst rocks and screes, they prefer a sheltered spot with freely draining soil in partial shade. Garden care: Plant the tubers shallowly with the rounded (usually smooth) side downwards so that the top of the tuber is either at or just below the surface of the soil. Water moderately while they are actively growing, but reduce this as the flowers fade. When the leaves die back in spring, apply a generous layer of mulch and keep the tubers as dry as possible during their summer dormancy. I put it on a difficult dry bank where there is a mixture of sun and shade. It worked very well.